By Anna Pisetti on Tuesday, May 27th, 2014 in Blog, heritage. After building the first set of prototypes, the next challenge is to test the prototypes in a different surrounding, charged with different content. 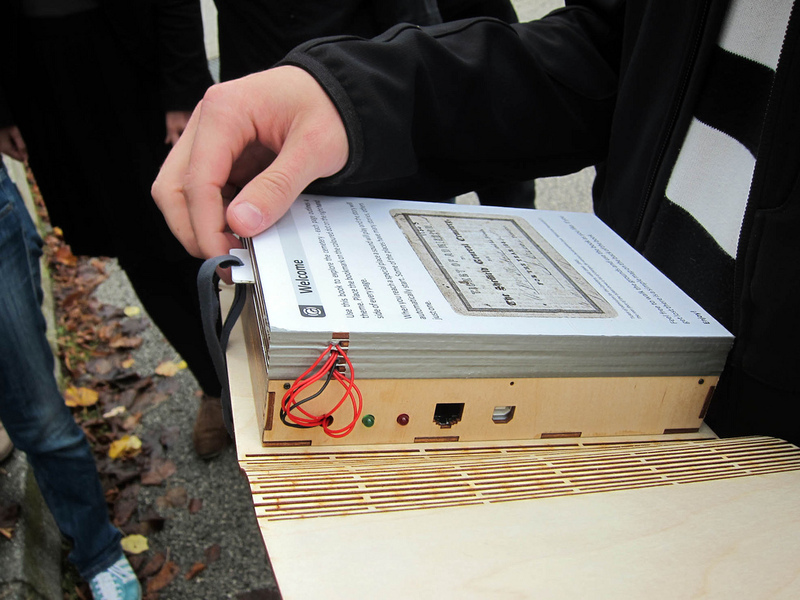 MeSch consortium partner Museo della Guerra chose the Companion Novel prototype to adapt to their needs and content. Building on the experience gained at Sheffield’s General Cemetery, we started to think about the possibility of adapting the Companion Novel, a prototype designed and developed by the meSch team at Sheffield Hallam University, for the visit to the fortified camp of Nagià Grom. In particular, our idea concerns the possibility of reusing the traditional teaching materials the Museum has prepared for activities with schools to create the Companion Novel’s contents. Schoolchildren engaging in educational activities at the War Museum. Museo della Guerra, The War Museum, offers educational activities adapted to the different ages of the students, the subject matter or the type of activity proposed (workshops, museum itineraries, excursions in the local area). During the activities, which are run by the museum staff, worksheets and books containing documents, photos and maps are used, and exercises are proposed. The materials are then taken by teachers for a continuation of the activity at school. 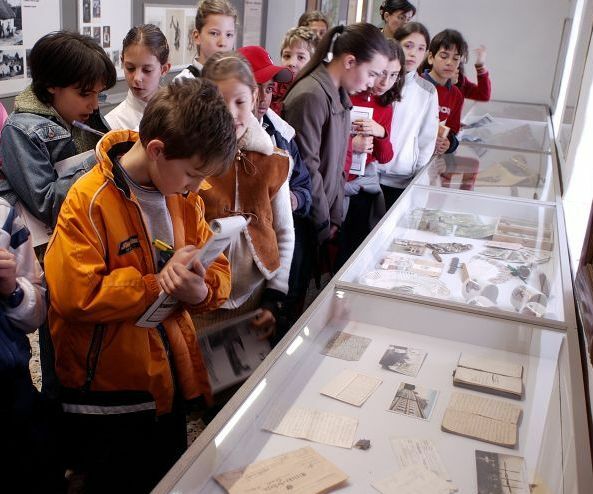 The educational activities take place in the rooms of the museum, in the workshop (a specially equipped classroom in the museum), in the local area (visits to monuments or trenches) or directly at the school. Example page from an educational exercise book at the War Museum. Click on the picture for pdf version. Before the outbreak of the First World War, Trentino was part of the Austro-Hungarian Empire. In the mid-nineteenth century they began to fortify the border with the Kingdom of Italy: between 1860 and 1914 numerous forts and hundreds of miles of trenches were built. The fortified camp of Mount Nagià Grom, between Riva del Garda and Rovereto, was part of the defence of southern Trentino. In spring 1915, trenches, caves and barracks for the accommodation of troops, warehouses for materials, field kitchens, observation posts and artillery positions were built on the mountain’s summit. Since 2001 the site has been completely restored and made visitable thanks to the work carried out by a group of volunteers (the Alpini of Mori). The area is currently the destination of First World War enthusiasts and tourists, as well as the many schools that visit the site with the educational staff of the War Museum. 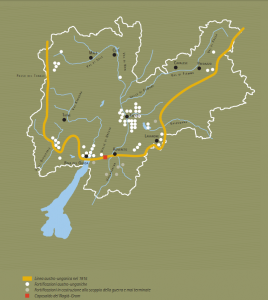 A map of Trentino. Click on the picture for pdf version. For years, the museum has offered schools an activity involving a morning visit to the trenches of Nagià Grom, followed by an afternoon visit to the museum. The goal is to help children understand the organisation of the front and to encourage reflection on the conditions the soldiers faced during the First World War. The students are accompanied by educational staff and have access to worksheets with photos, maps and diary entries. The activity aims to deeply involve the children as they interact with the documents and analyse what remains in the area. The itinerary is organised into stages: each stage is devoted to the analysis of a particular artefact or document on a specific theme (logistics, war in the mountains, military events, the evacuation of the country and refugees, the postwar period, …). 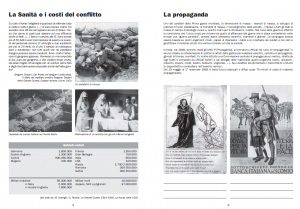 Once back at school, the teacher can continue the activity through the book or through the information on the site www.trentinograndeguerra.it (managed by the War Museum). The trenches of Nagià Grom are soon to be explored with a Companion Novel. 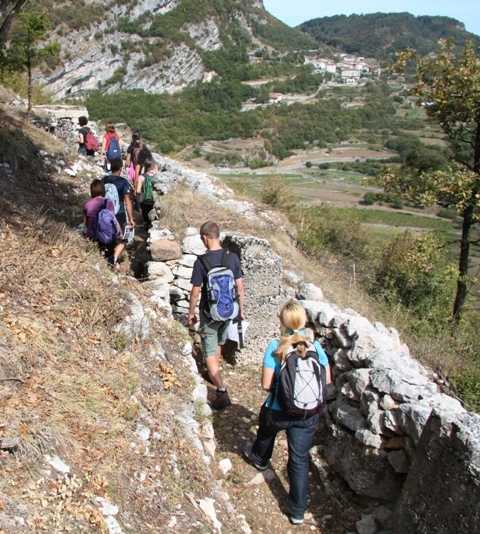 The educational activity organised by the War Museum in the trenches of Nagià Grom follows a precise path: the museum guide accompanies the students along a predetermined circuit, which is divided into stages. A map of the fortified camp is reproduced in the book provided to students. The stages can be thought of as hotspots, i.e. points where the group can stop and analyse a given artefact (a trench, field kitchens, a cistern, an artillery position, a crater from an explosion…). Each hotspot is connected to a specific topic that the museum guide addresses by referring not only to what can be seen in the area but also to documents, photographs and diary entries found in the educational material. 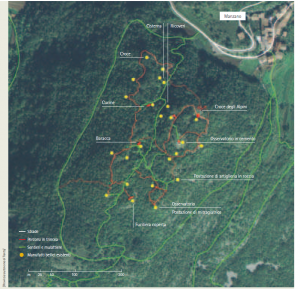 Map of the trenches of Nagià Grom. Click on the picture for pdf version. Everything mentioned so far can be adapted to the prototype of the Companion Novel. The post-visit phase calls for particular attention: after visiting the trenches, the visitor should be able to regain access to the contents heard along the way and have further insights by visiting the museum’s website. How to organise the post-visit phase and what materials to offer must be considered. Developing a second life for the Companion Novel prototype helps to evolve the meSch technology.